Compelled to look after Noah, the son of the late Ned and her alcoholic prep school friend, Thomasina, Pirio can't shake the lurking suspicion that the boat's sinking -- and Ned's death -- was no accident. It's a suspicion seconded by her deeply cynical, autocratic Russian father, who tells her that nothing is ever what it seems. Then the navy reaches out to her to participate in research on human survival in dangerously cold temperatures. A gripping literary thriller, North of Boston combines the atmospheric chills of Jussi Adler-Olsen with the gritty mystery of Laura Lippman. And Pirio Kasparov is a gutsy, compellingly damaged heroine with many adventures ahead. 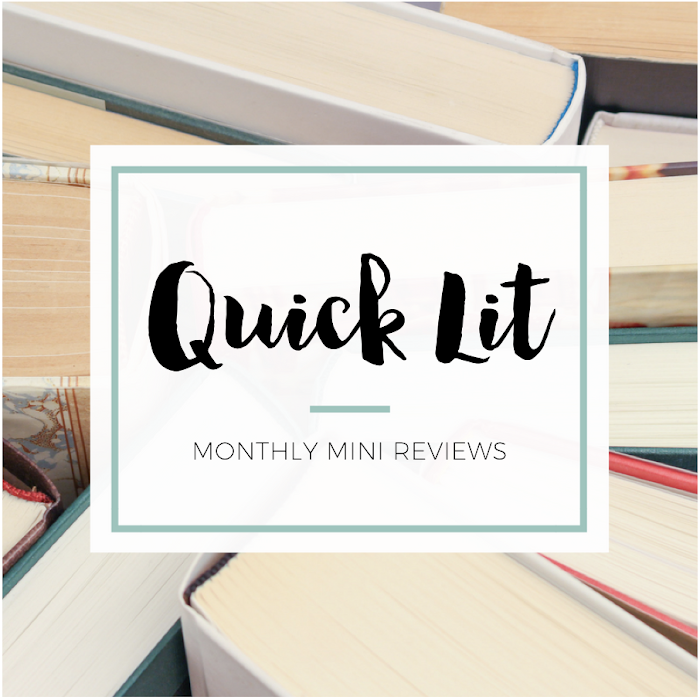 While I've previously read and enjoyed a number of literary thrillers, I don't tend to gravitate toward the genre. In fact, when I spy an interesting-sounding thriller, I usually pass along the details to Cassie. Then, I read a Q&A with author Elisabeth Elo about the inspiration for North of Boston that left me really intrigued and excited about reading this book. I'm posting a portion of that Q&A tomorrow - along with a giveaway - so be sure to check back in. 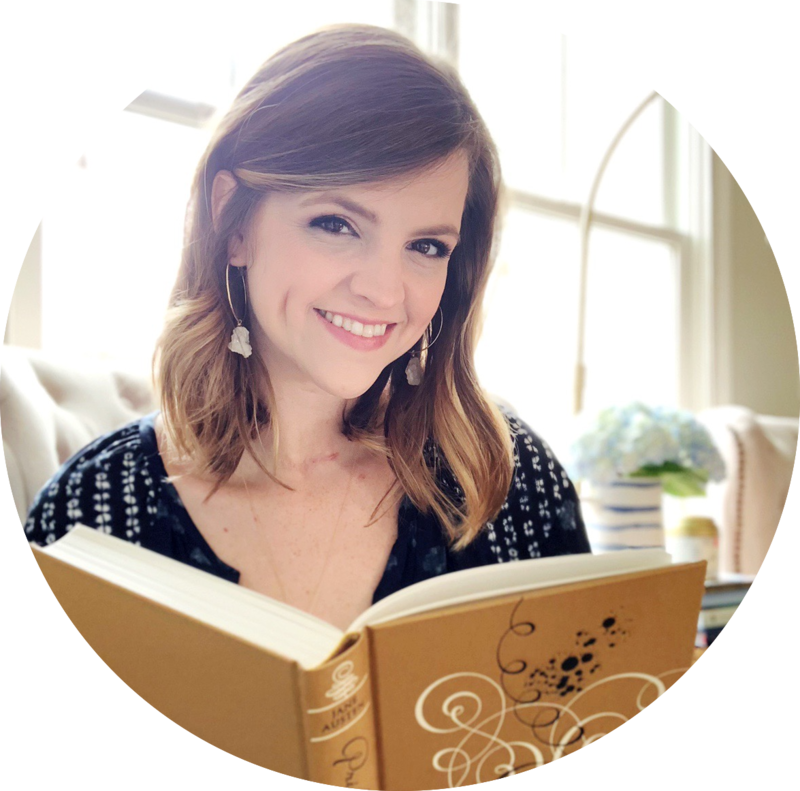 But first, let's get down to business and talk about this book! Pirio Kasparov is on a fishing boat with her friend, Ned, when they are rammed by a freighter. Their fishing boat sinks, and Pirio is left floating alone in the North Atlantic. She spends four hours in the freezing water before she's finally rescued, and her survival makes her a medical marvel. Ned didn't survive the accident - leaving behind a son, Noah. Pirio can't even grieve for her lost friend or deal with her own personal feelings about the accident because she's too busy trying take care of her alcoholic best friend (who also happens to be Noah's mom). The accident is ruled just that - an accident. But something doesn't sit quite right with Pirio. Why hasn't the freighter been found or the captain stepped forward? She's willing to just let the whole thing go until her father challenges her on it. He believes that she owes it to herself and her friend to find out what really happened that night and why. Suddenly, Pirio starts pursuing a plot that is more complicated and bigger than she'd ever imagined. I loved the complexity of the many threads in the mystery that Pirio begins unraveling. There is a lot of depth to this story, and I was so impressed by the way Elo weaves all of the elements together. I could tell how much research went into this book because of the number of subjects that played a huge role in the story - survival stories, the perfume industry, environmental ethics, marine life protection, and big business corruption. The book gets off to a slow start, but the suspense builds as Pirio falls deeper and deeper into the events leading up to Ned's death. One thing I found really interesting about Pirio from the start is that she's just a normal person. She's thrown into unraveling this mystery because of her personal connection to it - not because it's her job to do so. Pirio works for her late mother's perfume company, which plays an important role in the person she has become. And who is Pirio? She's a bit of a complex mystery herself. A good character has depth and is layered, and Pirio definitely fits the bill there. She's intelligent and courageous, but she's also aloof and reckless. I found her really fascinating! Pirio is a great main character, but North of Boston is also populated with equally fascinating secondary characters. Although it's a thriller, the book is really grounded by the relationships within its pages. Pirio's relationship with her father, her friendship with Noah's mother, and her protective love for Noah were some of my favorite things about this story. I think the relational aspect of the book was one of its strongest points! Given that those secondary characters were so well-rounded, I found it a bit disappointing that the villains of the story seemed more one-dimensional. The "bad guys" lacked some of the depth that Elo gave to her other characters, and that was a letdown. There were also a few things about the mystery that felt a little too convenient or unrealistic, but it didn't detract too much from my overall enjoyment of the book. North of Boston was definitely a literary thriller. The writing was gorgeous and descriptive, but it's also a lot slower than a conventional thriller/mystery. There are so many elements at work here that make this a really strong debut - complex characters, a vivid setting, dramatic events and a mystery that kept me hooked the entire time I was reading. I'd definitely recommend it if you're looking for a unique and compelling read that will engage your mind and your heart. 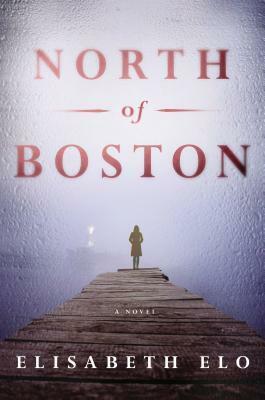 And don't forget to check back tomorrow for a chance to win a copy of North of Boston! "At some point during these summers of my childhood, L'Amour du Nord was born. A fragrance is difficult to describe. In colors, it would be deep blues and whites, with traces of magenta and neon green. In experience, it would be setting off across snow in a warm fur coat in a musty twilight, toward the bronze light of a distant cabin. In chemicals, it is B-selinene, trans-p-mentha-1(7), 8-dien-2-ol, and other substances whose spellings are as complicated as the molecular structures they represent. In dressing, it's a woman's lace slip and her red leather glove. In love, it's Mmmm until it ceases to be." *I received this book from Pamela Dorman Books in exchange for a honest review. I was not compensated in any way for my review. Okay, so we KNOW I will read this, and a literary thriller is so uncommon these days [though, I would say Night Film may qualify..] It sounds like this one is just right for basically anyone because as you stated, its a MC who is trying to figure everything out because she has ties to it, not because of a job like detective, cop, lawyer, what have you, as is common with most thrillers! Cant wait to give this one a whirl! I think you're probably right on Night Film. I haven't read it yet, but I have sampled a bit from my copy and think it hits the bill. Totally agree on the fact that main character is just an everyday person. It was nice to have a thriller where the heroine wasn't typically out solving crimes. Can't wait for you to read this one! I definitely don't read a lot of literary thrillers, as Cassie knows. But there's something VERY intriguing about this one! I'm all for books that have a good story, and North of Boston sounds like it's got a really good one. I may just have to get over my fear of this genre and try this out! I have read and enjoyed some thrillers, and then I completely avoid others. I hate being scared while reading, which is one of my big NOs so I like thrillers that are intense and mysterious but not like incredibly scary. This one definitely is the former!